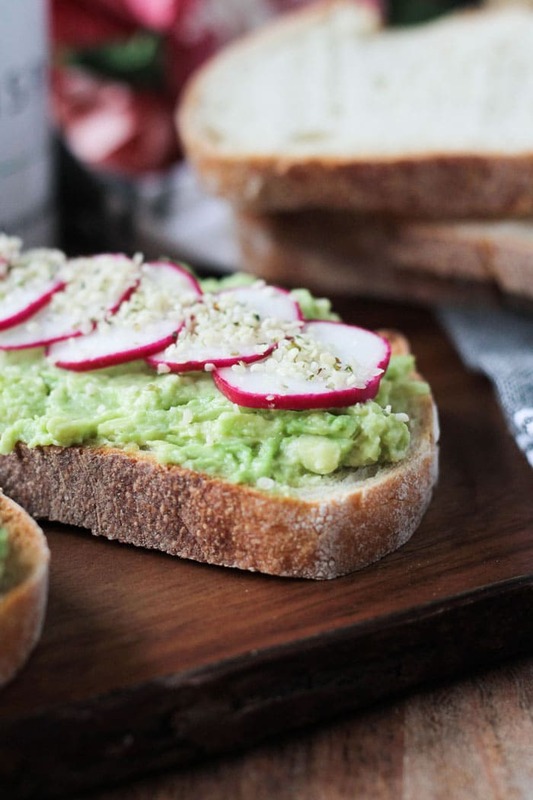 My Favorite Avocado Toast – hearty bread toasted until just crisp, creamy mashed avocado, thinly sliced radishes, and hemp seeds. Sometimes I add an optional balsamic drizzle as well. It’s a great combo! It’s my go-to breakfast and my go-to snack. I’ve posted pics of it in my Instagram feed, but I’ve never shared it with all of you. It is time! Keep reading to find out how I make My Favorite Avocado Toast! It’s almost time for a new year to begin. The time when most people around the world are making a commitment to better health. Eating clean foods. Cutting out empty calories. Exercising. Taking time for yourself. Whether it lasts or not usually depends on how easy (or not) it is to meet your goals. While I can’t help you with the exercise or taking time out for yourself (though I am always here for encouragement and support – feel free to drop me an e-mail anytime! ), I can help you with quick and easy recipes to nourish and fuel your body while leaving your tastebuds satisfied. I have collections of 15 minute recipes (this Avocado Toast recipe fits in right here!) as well as 30 minute recipes. Browse through and find a few things to love. And make sure you are signed up to receive new recipes to your inbox – find the subscribe box in the footer of this post. Why All the Love for Avocado Toast? What is it about avocado toast that seems to make everyone swoon? Obviously, it’s delicious! Avocado has a super creamy texture and is very rich tasting. I find them to be a great replacement for cheese in sandwiches and salads and even some pasta dishes because they provide that same rich creamy mouthfeel that you get from melty cheese. For this same reason, smashed avocado also makes a great replacement for butter on toast. Avocados are high in fiber, potassium, vitamin K, folate, vitamin B6, vitamin E, vitamin C, and healthy fats. The healthy fats help your body to absorb other nutrients when eaten together. They are anti-inflammatory and contain antioxidants, can help you control blood sugar levels, and may help to lower cholesterol. Avocado Toast can be customized any which way you like. Basically any vegetable, shredded or sliced thin would be a great addition. Even fruit slices like pears, apple or strawberries are a good choice (try it- trust me!). You can add cooked beans or any chopped nuts or seeds that you like. But my very favorite way to top it off is with thinly sliced radishes and a sprinkle of hemp seeds. Sometimes, I drizzle balsamic vinegar too, but that depends on my mood. You can add a pinch of salt or pepper if that appeals to you, but I like it without. Of course, you can’t have avocado toast without bread. Just make sure to pick one you like. It sounds silly to have to say that, but you aren’t going to magically like that health food bread you thought tasted like cardboard before just because you slathered on some creamy avocado (though it will make it better!). That being said, I think you should choose something whole grain and full of fiber. NOT processed white bread. For store bought breads, I like Ezekiel sprouted grain breads – they have gluten free options as well if you need/want that. Or check your local bakery for freshly made whole grain options. I hope you guys give this Avocado Toast recipe a try and love it as much as I do! If you try it, please come back and leave me a comment below with your feedback and star rating. 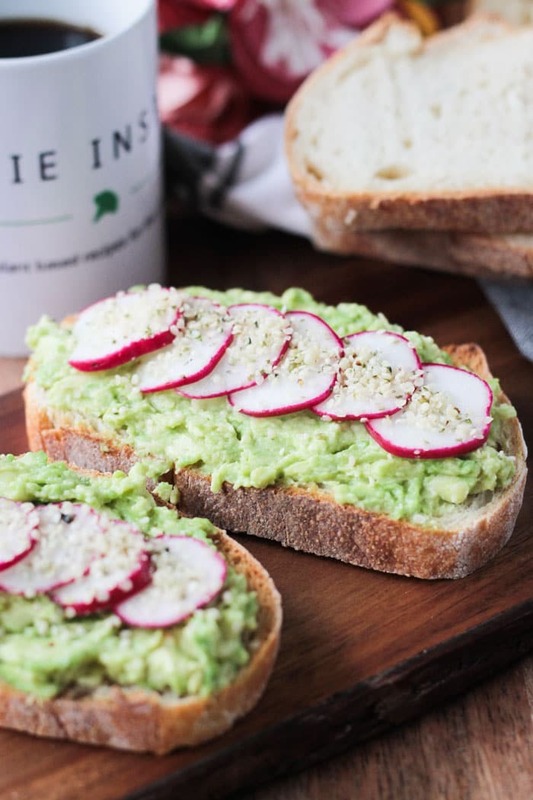 This quick and easy Avocado Toast with Radishes makes the perfect breakfast or snack. It's filling and delicious! Easily customizable to your own tastes too. Mash the avocado flesh with the back of a fork. Spread half the avocado on one slice of toast and repeat with the other slice. Add a pinch of salt/pepper if desired. Add the sliced radishes on top of the avocado and then sprinkle the hemp hearts. Yum, yum, yum! I eat avocado toast multiple times a week. Love the addition of radishes, they give just enough spice to the mix. Thanks, Ela! I hope you give it a try. 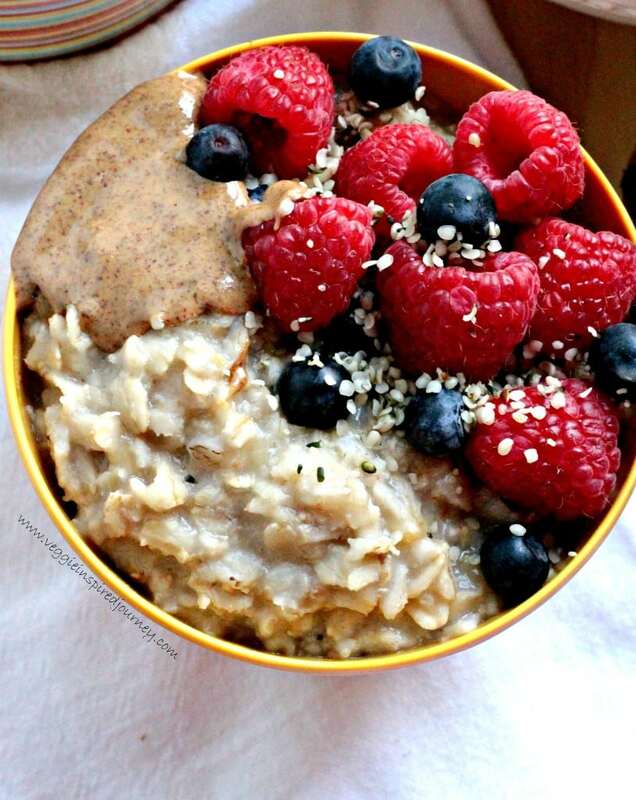 I love avocado toast and I love the “pop” of hemp seeds – brilliant to enjoy the two together Jenn! I’ll have to trial this. Thanks, Alisa! Hope you enjoy! Love avocado toast! It looks so pretty with the sliced radishes. I’d add an egg for a nice rounded out breakfast! I for one am all for Avocado Toast! There is nothing better than having it as lunch or a midday snack! I love that you added the perfect crunch of a radish! Thanks, Megan! I’m obsessed with it. About time that I shared my fave! Your recipe looks so healthy, fresh and satisfying. Good food for a good new year! Cheers to 2017!! Thanks, Dan! Great way to combine different textures! 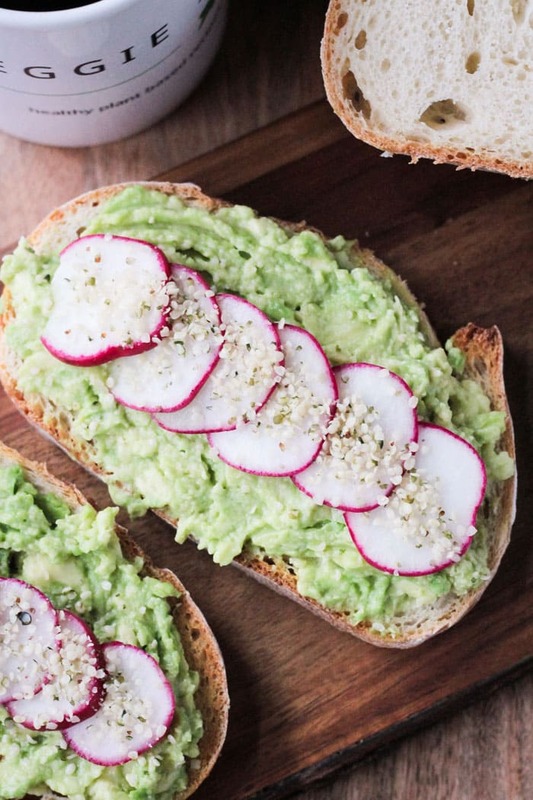 The crunch from the radishes, and the creamy avocado are a great pairing! 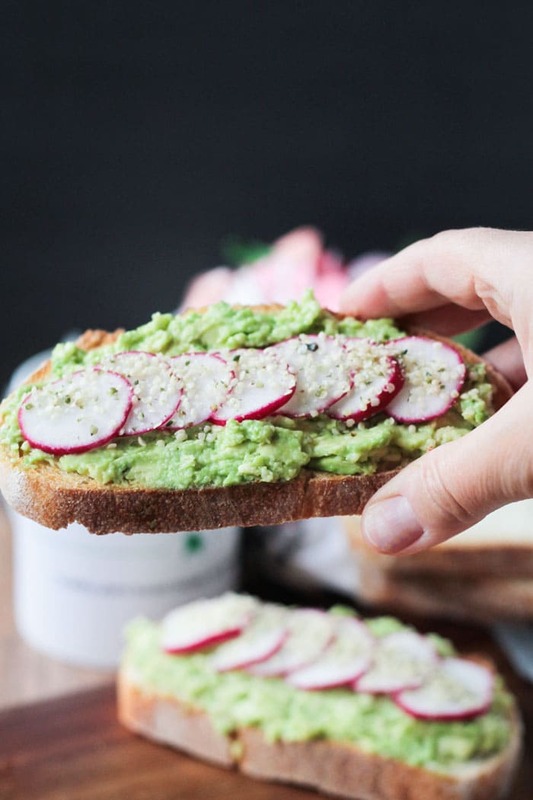 I love avocado toast, and I love the idea of using some radishes as well! It looks so delicious! Thanks, Kim! I love the little spicy bite the radishes bring. So, now I’m feeling self-conscious — a food blogger without an avocado toast. Does it count if I made a sandwich with avocado and stuck an egg on top? HaHa! Yes, I think it does count!! Haha, I had a similar thought, though I’m such a newbie to food blogging that perhaps I can use that as an excuse. 😉 I often wrestle a bit with posting things that everyone has already tried, fearing I don’t have much new to add, but this is a great example of doing a well-known concept with a fun twist to add value. Love the radishes! Thank you, Monica! It seems from all the comments that almost no one has tried radishes on avocado toast before, so I think I have a winner! 🙂 There’s always a fun twist to put on everything, right?! Love the crunch from the radish with the creamy texture of the avocado! Perfect duo! I could eat this every single day! Oh, me too. And I pretty much do! 🙂 Thanks, Taylor! LOVE this combo! Great Idea! I love avo toast and radishes. Why have I never thought to put them together? This looks awesome! Exactly why I figured it was worth it to post this. Not exactly a recipe, but inspiration. They are so good together! Thanks, Becky! I love avocado toast AND radishes! Definitely a winning combination. I thought I’ve seen all the avocado toasts there is to see 🙂 But this is new and looks great! That’s exactly why I thought it was worth posting – it’s a little different than the traditional ones. Thank you, Maria! I LOVE the pictures of this recipe! Avocados are my absolute favorite! 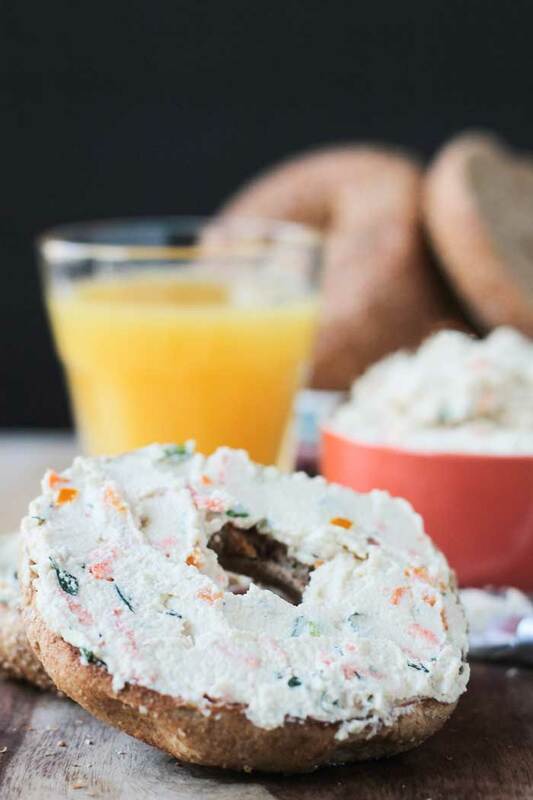 I’m more of a sweet breakfast gal, but I’d totally eat this for lunch any day! Thank you so much, Laura! I love the way they turned out too. Lighting gods must have been with me that day. 🙂 It would make the perfect lunch as well! I felt like a real blogger once I put an avocado toast recipe on my blog too! How simple and beautiful. It sounds like the perfect pairing and only 5 minutes! I love avocado toast, but I’ve never tried it with radishes. I need to change that soon! Let me know if you try it, Dianne! Once I started making it this way, it’s almost the only way I eat it now. Yum! I’ve never put radishes on my toast before but I mash avocado on it all the time! 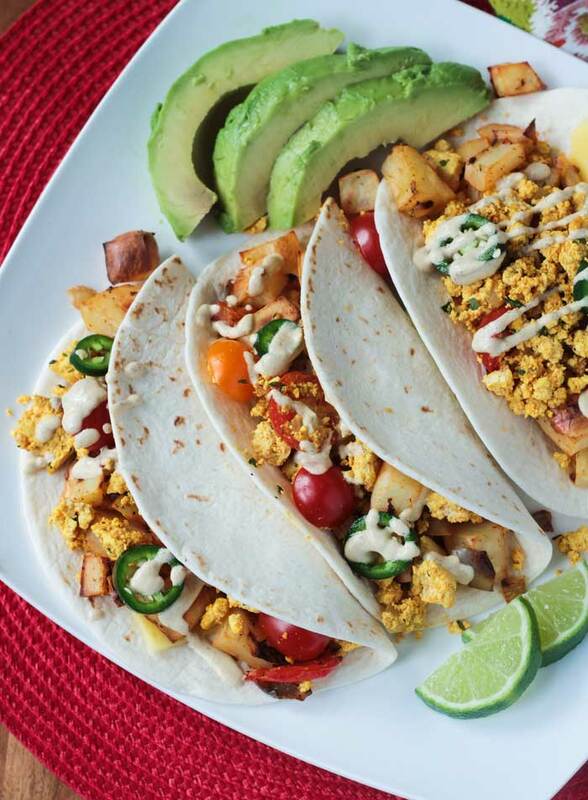 Never underestimate the power of the avocado – it can literally do NO WRONG! You are so right! It’s like a miracle food…so good! Let me know if you try it with the radishes! I love avocado toast but I’ve never thought to put radishes on them. Sounds (and looks) delicious! Thanks, Esther! I hope you try it…it’s really good!